I spent about 5 minutes just now trying to think of a clever way to introduce this... I tried to tweek the words of the intro statement from "Law and Order".... it wasn't clever at all. Lame. So you got that explanation instead. 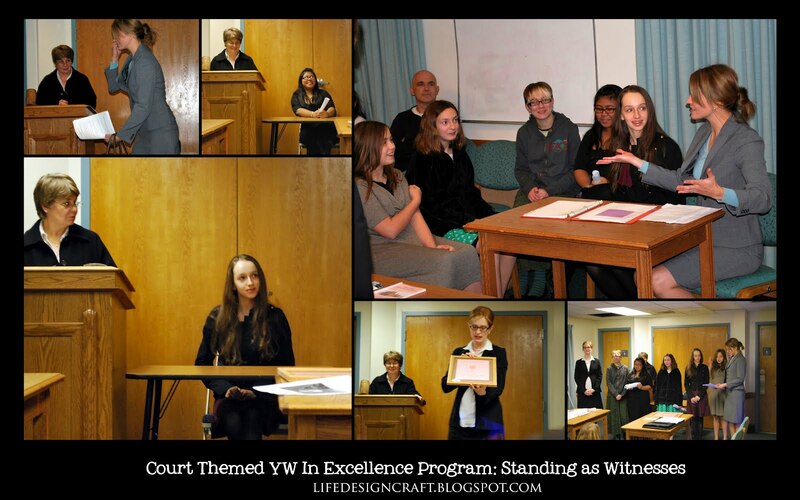 This was our YW in Excellence Program from 2010. 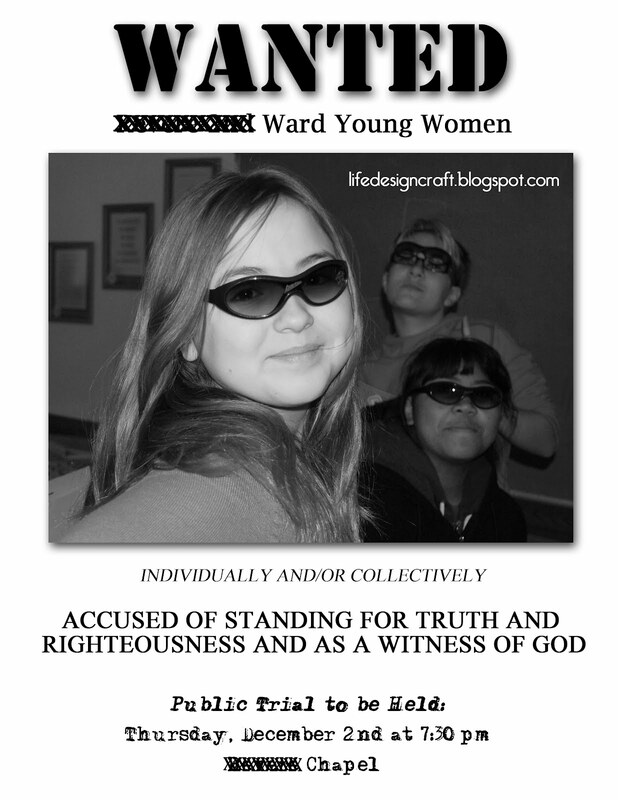 Our girls were being accused of standing as witnesses of Christ. 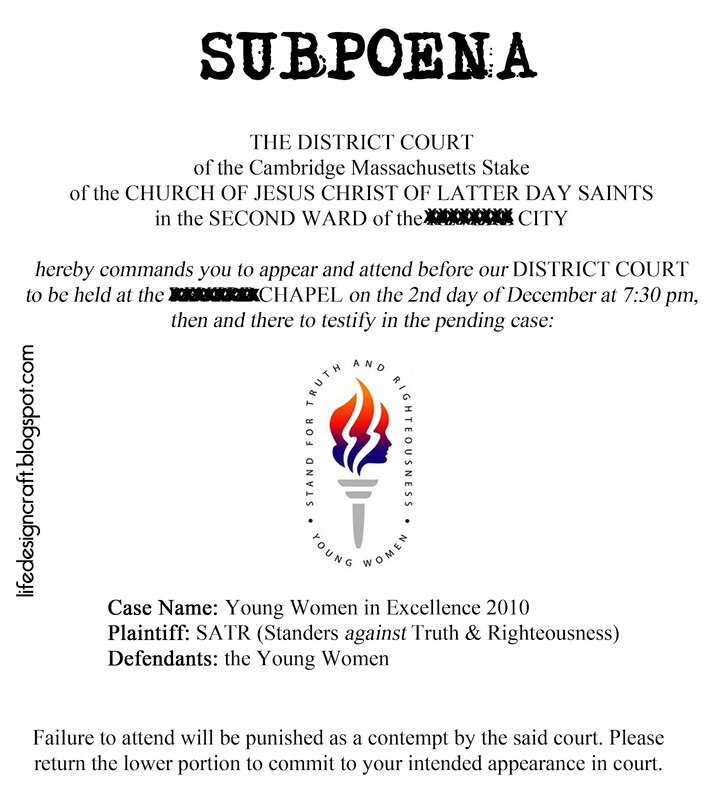 We put out WANTED flyers (around the church bulletin boards, in the YW room, etc.) 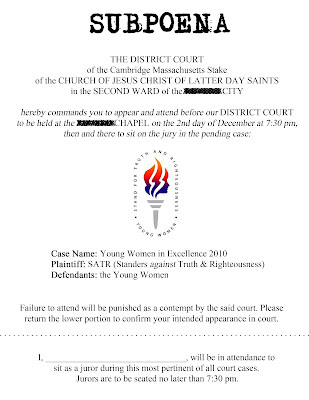 to announce the public trial to ward members. (It's very similar, but has a few wording changes). 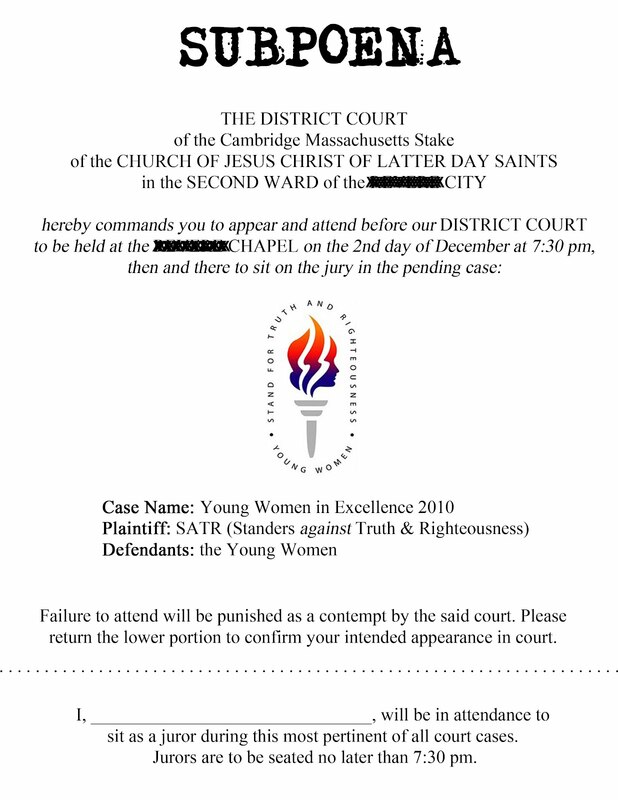 The bottom portion is supposed to be torn off and returned as an RSVP. 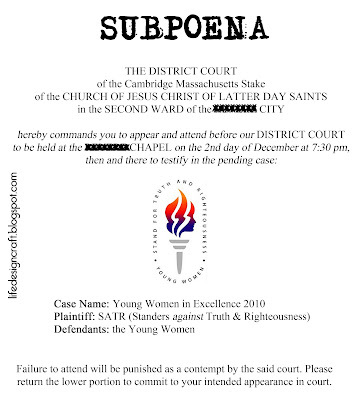 Then, the court was called to order. Each of my counselors took the role of either judge, prosecutor, or defense attorney, and I gave a "testimony" as the YW President. At the end of the program, the YW sang "I Will Stand as a Witness" by Janice Kapp Perry. It's a perfect song for the program because it talks aout "testifying" of Him and standing as a "witness". The music can be purchased from the sheet music book: Let the Holy Spirit Guide. The girls LOVED this YWIE program and still talk about it....2 years later! The script is funny and entertaining, but also gives the girls a moment to shine as the wonderful girls and followers of Christ that they are! Thank you so much for sharing your efforts! Our girls are excited to have this as their theme and do something different. Hi, I would love to have this script but cannot find it attached here. Is it still available? My girls love this idea foe YWIE. please let me know if I can get this script and also other invitations from you. Hi, is the script available? I think this is adorable, do you still have the script? It's not attached here. Hi is the script still available? I’m not seeing it attached either.